Hello, lovelies! I am notorious for hardly wearing color, however given that is now officially summertime, I thought it was about time I add some vibrancy to at least one of my outfits. 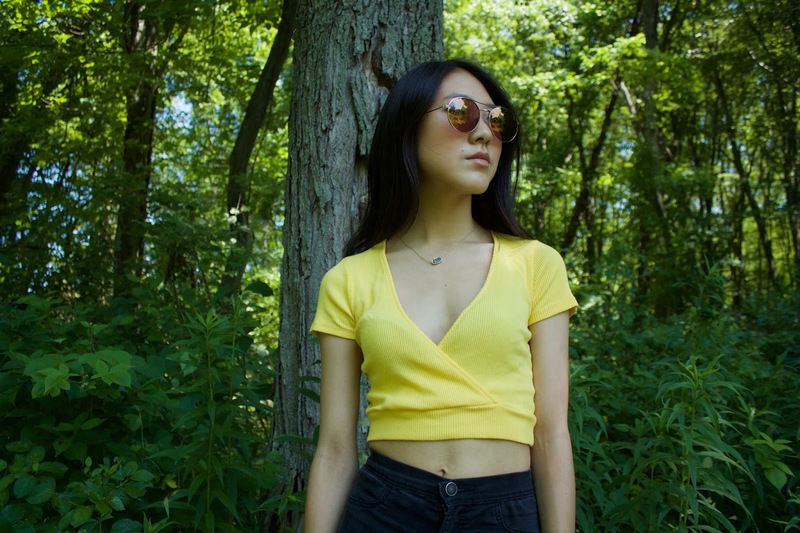 I was attracted to this simple, yellow crop top and thought it would be a lovely piece to wear. Of course, given my natural tendencies, I still wore all dark colors with it haha. Typical.